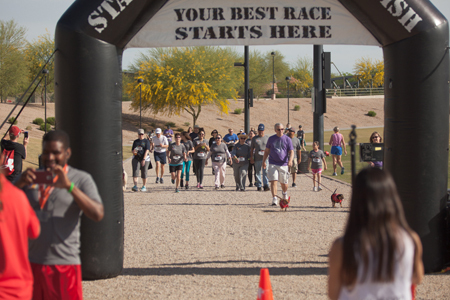 Laura's Run 2016 was held in April at the Scottsdale Sports Complex. It was a beautiful day, filled with many enthusiastic participants who came together to support a great cause. For more information about next year's event, be sure to check back to this website and to visit the official website of the Laura Hart Burdick Foundation. For more information about how you can help the lung transplantation program at St. Joseph's visit the Norton Thoracic Institute section.